Pipes are susceptible to damage due to the substances they transfer and the environmental conditions they have to withstand. For example, the sparse rainfall in the last few years has led to a change in soil moisture that can cause pipes to shift and break, leading to a waste of treated water. Pipes that are in heavy use, notably for domestic water distribution and industrial or irrigation water systems, are especially prone to the pressure that can lead to leaks and breakage. These piping systems have to transfer considerable amounts of water to an extensive network, and changes in underground conditions can adversely affect the stability of the pipes. These pipe systems ensure that the water transferred is safe from contaminants and other harmful substances. However, there are times when the hazards come from the pipe itself. For example, in systems made of metal pipes, corrosion and rust can form when water and oxygen interact with the steel or iron, contaminating the water supply. In severe cases, the damage can weaken the pipe structure and cause the pipes to break, cutting off the water supply to the rest of the network. Similar to urban water distribution systems, rural pipes ensure a safe and reliable source of water for irrigation and other comparable needs. Farm water quality is a priority in these systems, especially with factors like pH level and iron content. For example, high levels of calcium and magnesium salts cause water hardness, making it not only detrimental to soil but also harmful to pipes. The high calcium content can form lime encrustation (calcium carbonate) and hinder water transfer in the pipe. The nature of rural systems can also affect the pipes. For example, pressure surges when abruptly starting or stopping water flow can cause water hammer or hydraulic shocks that lead to damage unless pipes are properly secured or airlocks are allowed to escape. High-density polyethylene (HDPE) pipes are effective for the large scale transfer of liquids given that they can withstand high amounts of pressure and are unaffected by rust due to their thermoplastic quality. Additionally, the lifespan of high-density plastic pipes is longer than metal pipes. 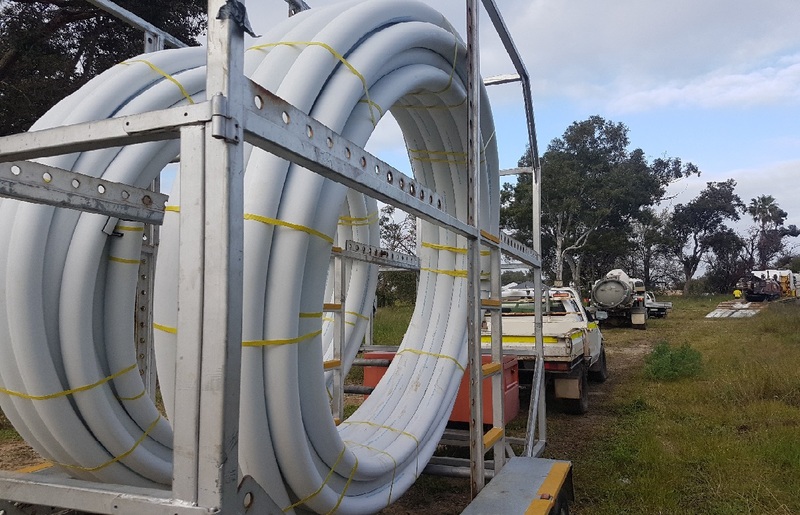 Acu-Tech HDPE pipes are the right choice; they are durable, versatile and compatible with technology like poly electrofusion fittings, poly compression fittings and clamp saddles, ensuring seamless joints and high-integrity systems. The pipe’s smooth internal surface gives it a high flow and pressure capacity, enabling it to facilitate fluid transfer without the risks of obstruction or breakage. At Acu-Tech, we offer high-performance pipeline solutions for an expansive range of industrial applications. With more than 15 years of service, we are a highly experienced and credible company that manufactures products for all kinds of piping needs. We provide a comprehensive catalogue of HDPE pipes, fittings and other pipeline equipment. 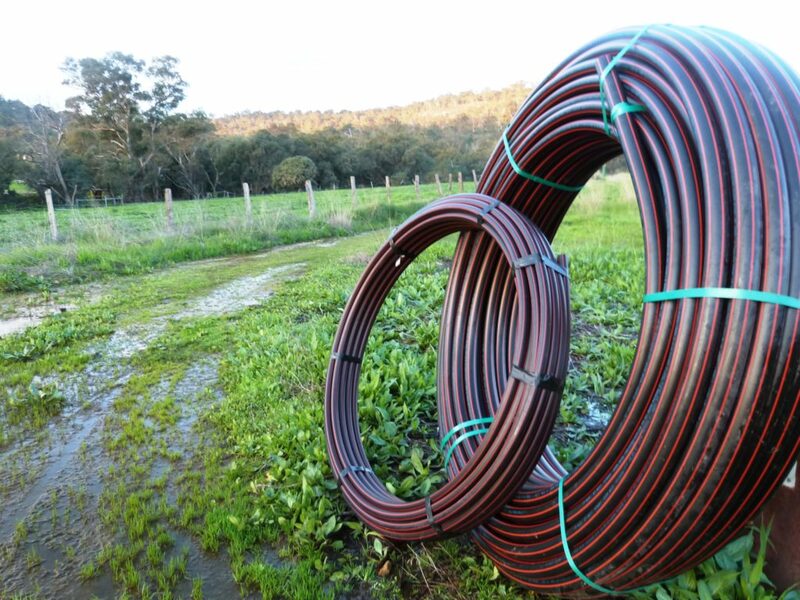 We cater to different industries’ needs, including plumbing, drainage, irrigation, infrastructure, mining, ventilation, communications, and other specialised systems. With Acu-Tech, you will find a quality piping solution that is efficient and cost-effective. Become our partner now. Send us an email at sales@acu-tech.com.au or contact us by visiting https://www.acu-tech.com.au/contact/. Disclaimer: As always with information supplied by Acu-Tech Piping Systems, we supply it as a guide in the interest of better understanding of technical properties of our products. However, the application of such information may involve engineering judgements which cannot be correctly made without intimate knowledge of all the conditions pertaining to a specific installation. Acu-Tech Piping Systems does not act as a consultant in this regard; the responsibility for the use of any information or advice contained herein rests solely with the user. It should not be used in place of a professional engineer’s judgement or advice, and it is not intended as installation instructions. See full disclaimer at www.acu-tech.com.au/privacy-policy/.